Overview: miggo, the manufacturer of innovative, protective solutions for digital cameras, has unveiled the world’s first binocular strap that morphs into a protective carrying case. 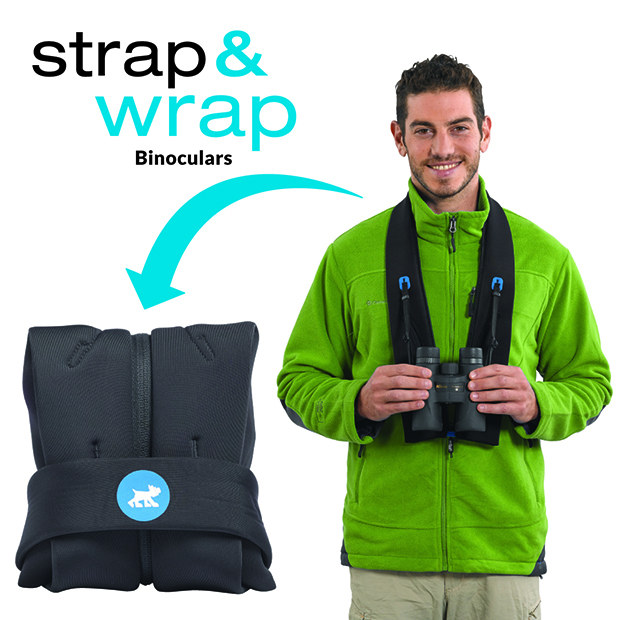 The miggo Strap & Wrap for binoculars leverages the same forward-looking design, versatility and technology that can be found in the current line of miggo carrying solutions. Just like photographers, outdoor sportsmen and women are passionate about their optics and the miggo Strap and Wrap for binoculars ensures they’ll have the best experience possible with their gear no matter where their adventures may take them. What Makes It Unique: Manufactured using durable, energy-absorbing LYCRA and neoprene foam, the miggo Strap and Wrap is both a padded strap that allows users to comfortably wear their binoculars around their neck for extended periods of time, and a protective and padded case for safe storage in a personal bag or pack. 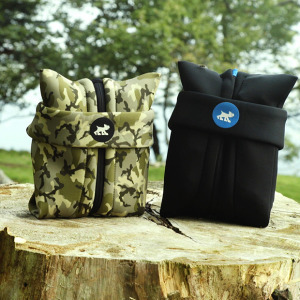 Miggo has made the strap easy to use, just attach the binoculars using the provided adjustable connector straps, unzip the Strap & Wrap and place the miggo around the neck. When finished, all that’s needed is to re-zip the strap and roll it around the binoculars, transforming it into a protective carrier within seconds. The miggo will now protect your expensive gear from nicks, scrapes, and damage when not in use. 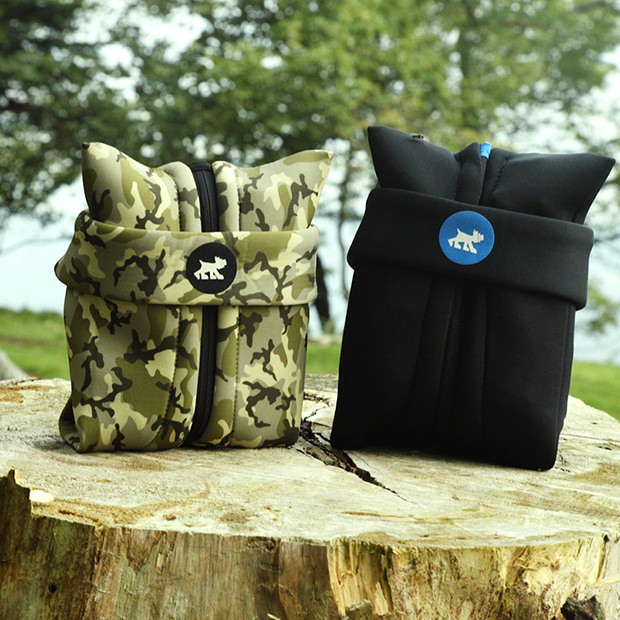 Coming in camouflage and black, the miggo Strap and Wrap can accommodate the majority of the most popular sizes of binoculars from any brand.